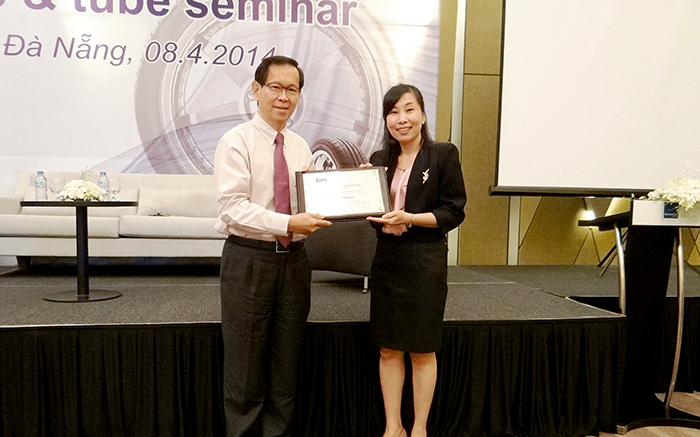 Behn Meyer Vietnam partnered with ExxonMobil Chemicals to hold “Tire and Tube” seminars in Da Nang and Ho Chi Minh City, Vietnam on 8th and 10th April 2014 respectively. 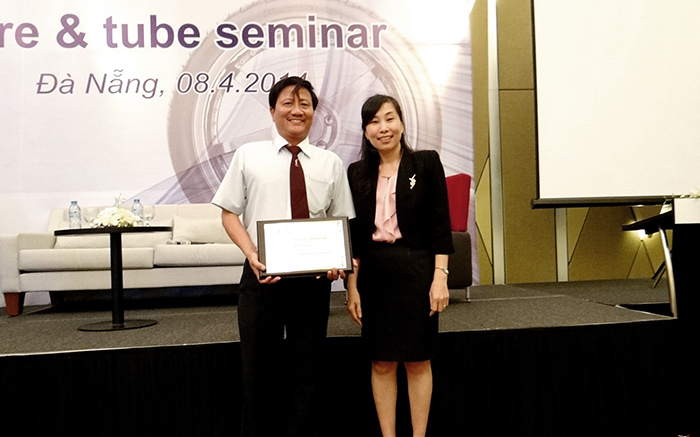 Two speakers from ExxonMobil, Mr. Sushil Mandot and Ms. Lynn Yee, gave a presentation on the application of regular butyl and halobutyl in the tire and tube industry. The main focus of their topic was on the safety and fuel economy issues connected with meeting the market demand in the transportation industry. They also shared news concerning global trends in the tire and tube market. 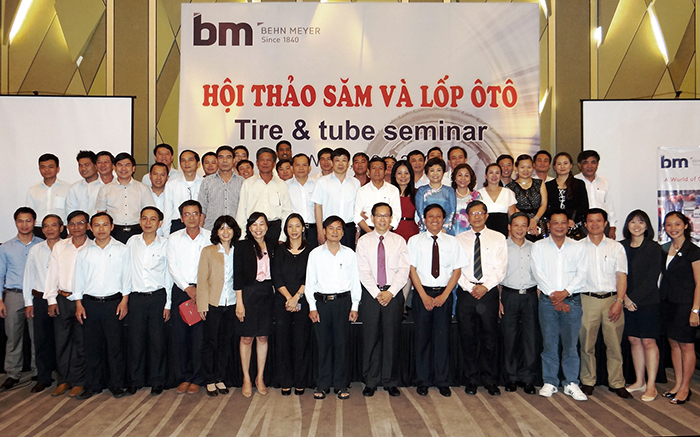 More than a hundred people from tire and tube manufacturers, agents and distributors, fleet companies and the Ho Chi Minh Rubber Association attended the seminars. There was a great deal of interest in the topics and lots of questions were raised during the Q&A session. Behn Meyer Vietnam also celebrates the 16 years of excellent cooperation with ExxonMobil and 18 years of long-term partnership with Danang Rubber Company. ExxonMobil is known as the leading manufacturer in the world for new rubber materials in tire and tube applications. They supply extensive product ranges, including Regular Butyl (RB), ChloroButyl (CB), BromoButyl (BB), EPDM (Vistalon and IT), which help Behn Meyer to offer high quality materials with advanced technology to the Vietnam market.